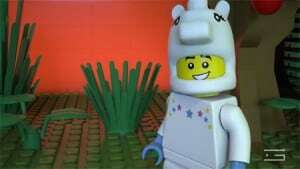 It is almost 400 years since the death of William Shakespeare, to celebrate his work GLUE was commissioned to create a video for LEGO of some of his best known works including Romeo and Juliet, A midsummer night’s dream and MacBeth. In this video GLUE created three short sequences from the three plays mentioned. Once GLUE had finished their research and had their concepts approved they could start to build their storyboard. This was made using stop motion photography. For this, scenes from the plays were acted out by actual LEGO figures. 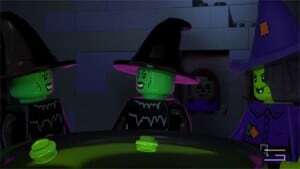 The LEGO figures in this video were created using 3D modelling software. They were modelled after the actual LEGO figures used in the storyboarding process. Each character was created from a base model, and then modelled, UV’d and textured separately to achieve the authentic LEGO appearance. Lighting of the 3D scenes was incredibly important to help make the 3D animation more believable. For a behind the scenes look at every stage of this process, drop over to our blog on the LEGO Shakespeare project here.